My girlfriend's favourite bracelet was given to her by her ex-fiance so she doesn't wear it anymore because of the negative memories. I'd love to make her a new one since she really loves the style. I have gotten a couple of macrame books from the library but they're really out of date (1970's)and none of them include any directions for bracelets at all. I have the cord and some really pretty beads but don't know where to start. I have done several macrame style kits from the beadery so I know I could do it if I had a pattern? Can anyone help? I'd really, really appreciate it. Thank you so much for posting the information regarding how to get in touch with somebody on how to do the knot that you have on your bracelet. 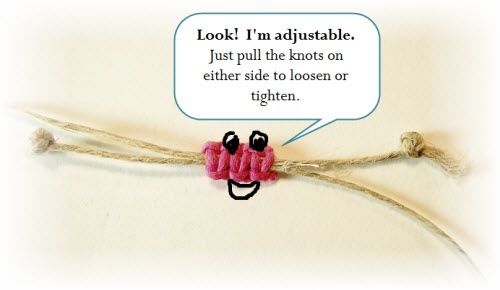 Thank You Elaine Lieberman for putting info on the knots and for all of the great work you do. I will pass it on that you make lots of stuff,I will give them your website and I may be buying some thing soon. I was just looking into doing something similar myself! 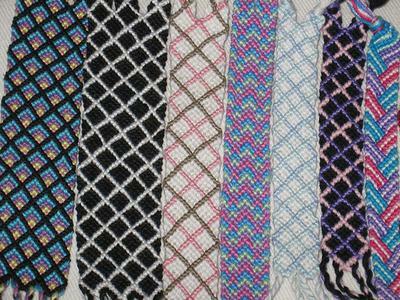 I found this really easy step by step tutorial on a double half hitch in which you can create the same pattern for your friends bracelet. The photo they give is for a diamond, but you can use the same pattern and make it curve. 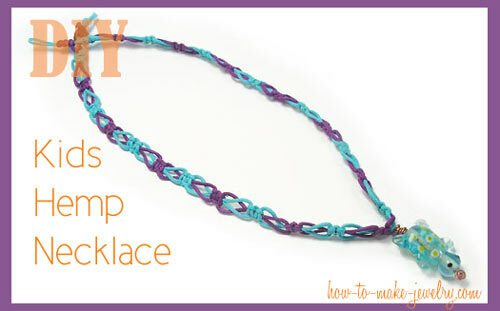 They also have instructions on incorporating colors into your design as well as beads and some other basics.